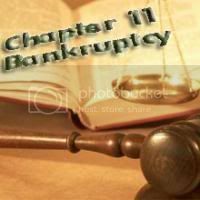 In my nearly 20 years of practicing bankruptcy law, I have never been as excited by anything as the development of the individual Chapter 11 case. Traditionally, Chapter 13 has been used for personal reorganizations while Chapter 11 has been reserved for more complex corporate reorganizations. However, a small handful of sophisticated bankruptcy lawyers, like BLN contributors Brett Weiss and Kurt O’Keefe, are taking advantage of the debtor-friendly rules of Chapter 11, to provide more meaningful debt restructuring for some individual consumers. The challenge for bankruptcy lawyers is streamlining the Chapter 11 case for consumers to bring the overall cost of filing down. Currently, my firm has managed to bring down the cost of a typical Chapter 11, but even so, the individual Chapter 11 case costs $10,000 to $30,000, depending on the facts. However, in as many as half of all consumer reorganizations, these increased fees and costs are far outweighed by the savings and convenience of Chapter 11. These savings, like “cram down” of automobiles and the virtual elimination of the trustee’s administrative fee, will be discussed in more detail in my upcoming articles. We are just now starting to recognize the power of Chapter 11 for consumers, and a concerted effort is being made by many to understand this complicated area of bankruptcy law. I’ll be in Tucson next week, attending a three day seminar conducted by The National Association of Consumer Bankruptcy Attorneys to learn how to identify which consumers will benefit from Chapter 11 and how to file these types of bankruptcies. Of course a three-day seminar is really the beginning of an education in Chapter 11, and I predict there will be more advanced seminars to follow.